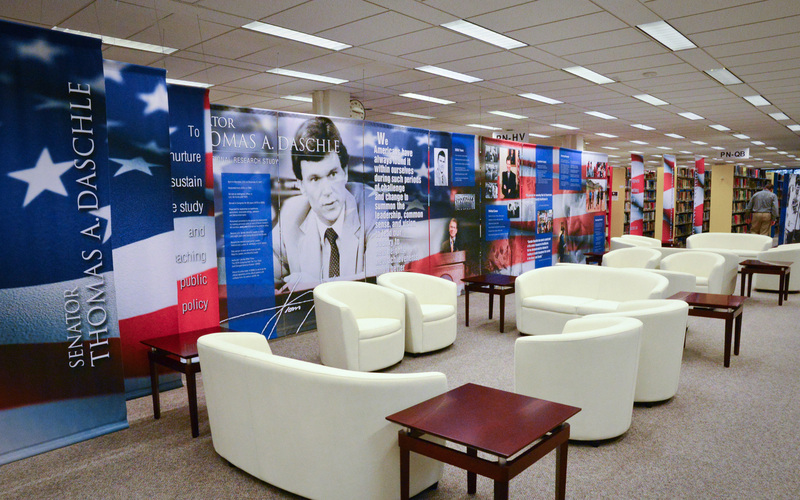 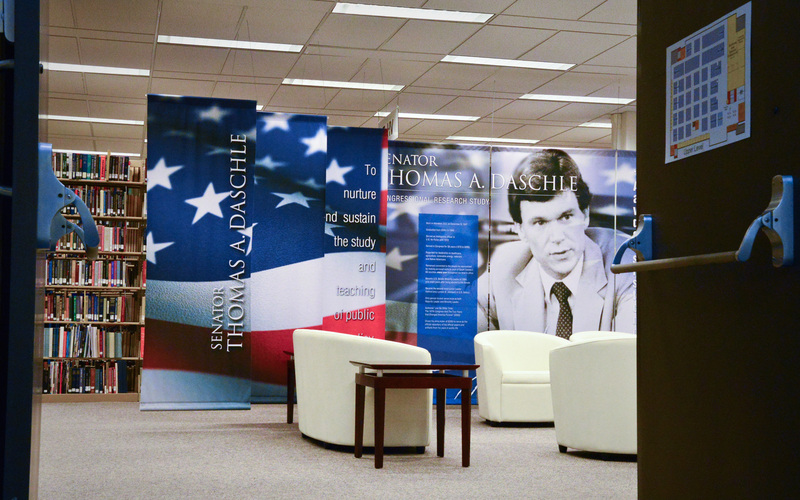 When the SDSU Foundation approached HenkinSchultz to help them create a space to honor one of the its proudest sons and one of our nation’s treasures – the congressional papers of former Congressman and Senator Thomas A. Daschle – we knew we needed to come up with an authentic and inspiring design worthy of the legacy. 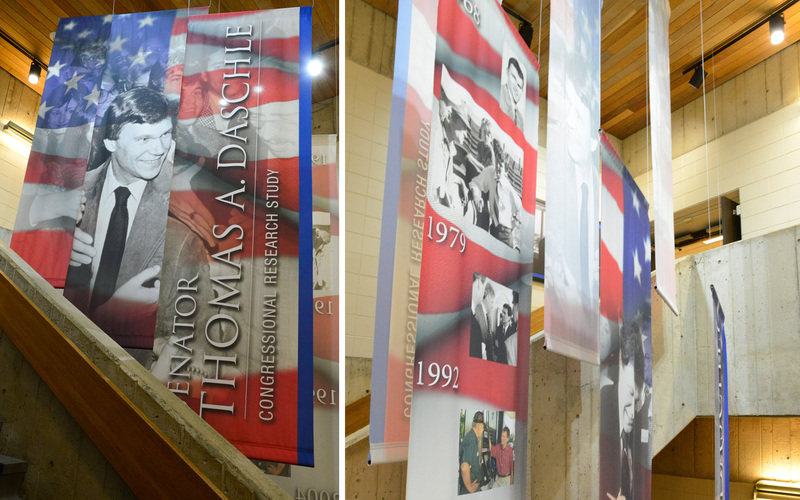 Feeling extra patriotic, we got to work on red, white and blue elements that would make a statement in the main lobby of Hilton M. Briggs Library, banners leading up the stairs to the actual collection and finally the design of the 50’ wide space in the main exhibit area. 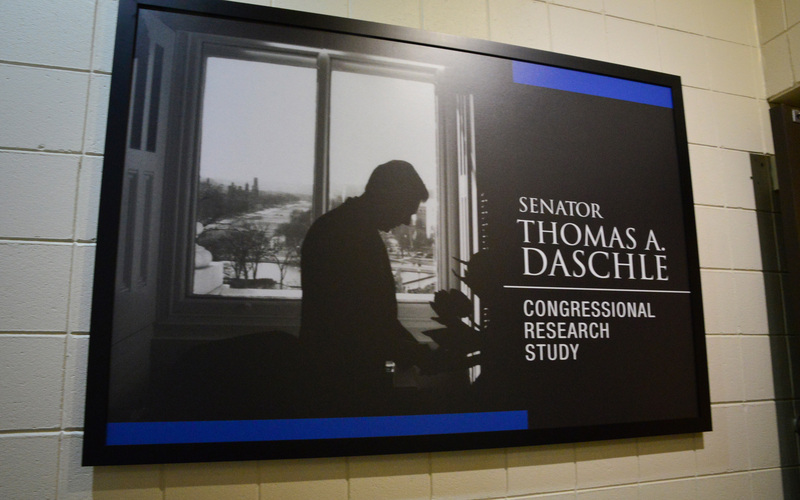 Inspired by the words and works of Senator Daschle, we illustrated his big legacy with big elements including larger-than-life photos of the senator and quotes that will leave visitors with an understanding of his philosophy, his politics and his personality – you could call it his brand.